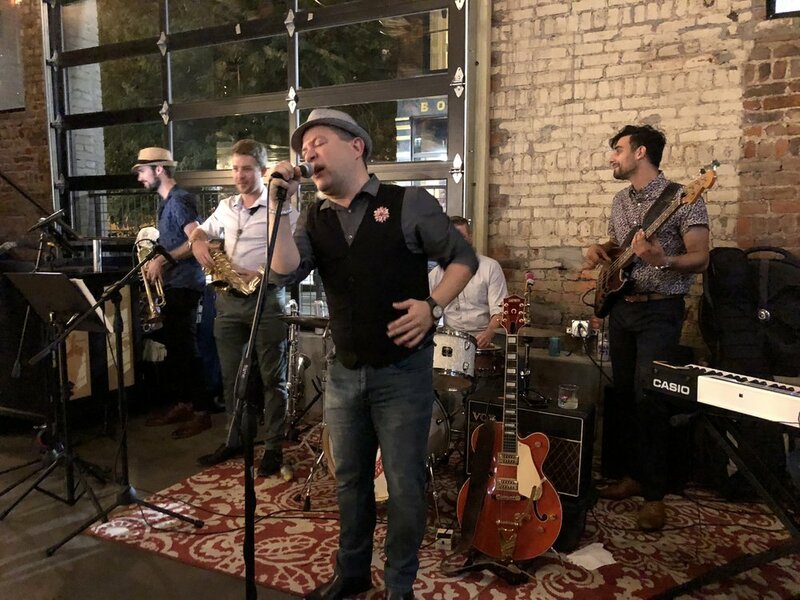 Located in the Pendleton Arts District along the eastern edge of Over-the-Rhine, Lucius Q is Cincinnati's newest barbecue, bourbon, and beer hall. 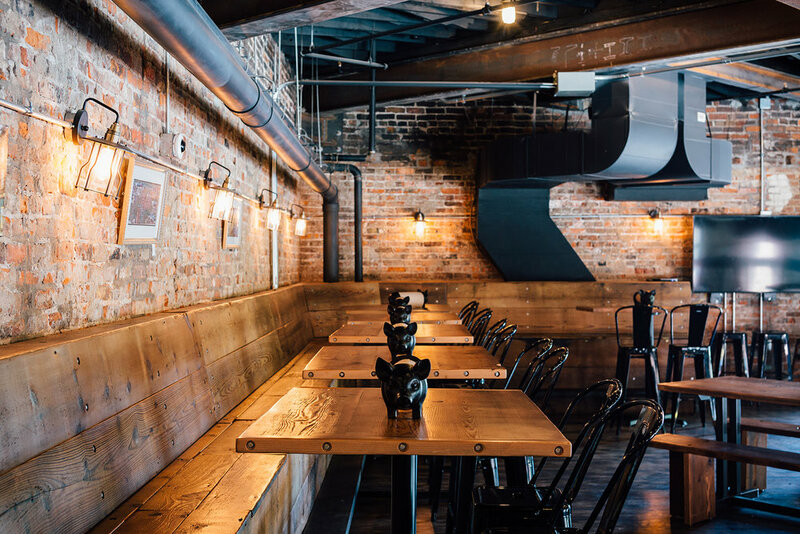 Lucius Q is a traditional barbecue joint with a modern-industrial vibe located in one of Cincinnati’s hottest up-and-coming neighborhoods. 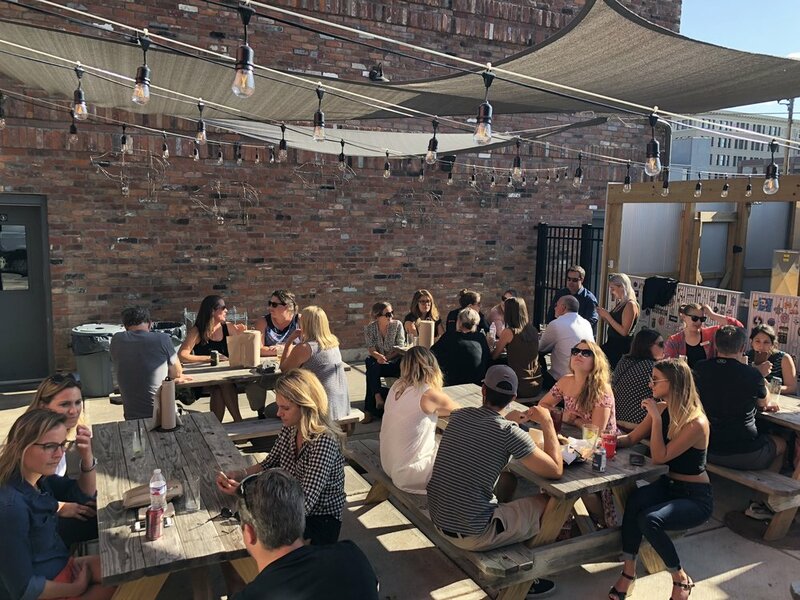 By bringing together the best barbecue styles from around the country, Lucius Q brings together people from every walk of life in a way that few restaurants can. Call it comfort food. Call it soul food. The approach is simple. We smoke our meats low and slow over oak and cherry wood and serve them with traditional southern sides. Our meat comes from the butcher shop around the corner. Our bread, from the local bakery. Everything else is made in house by our pit master - Cincinnati native, Tom Martin – and a staff of incredibly talented cooks, many of whom live in the neighborhood. We believe our bartenders are second to none. With a focus on quality bourbons, southern cocktails, and craft beers, you’re sure to find the perfect compliment to our ‘cue. Serving brunch every Saturday & Sunday from 10a-2p. Meats by the pound come with pickles, onions, and white bread. Sammys are served on fresh, locally-baked, Gimenetti buns with cole slaw, pickles, and onions on the side. Faux pulled "pork" made with trumpet mushrooms, cabbage, onions, and Luscious Lucius sauce. One of the keys to great barbecue is freshness. Our barbecue is produced in limited quantity so that it is always fresh. This reality means that we may run out of an item from time to time, so don't dilly dally! Brisket, pulled pork, Avril-Bleh sausage, queso, onion straws, and Hot Lucius sauce. Shredded trumpet mushrooms, cabbage, onion, and Luscious Lucius sauce. Pulled pork, Avril-Bleh sausage, Burnt Bellies, bacon-onion jam & Queen City Gold sauce. "As God is my witness, I thought turkeys could fly!" Smoked turkey, smoked gouda, granny smith apple straws, bacon-onion jam, and Queen City Gold Aioli. Mashed potato, Avril-Bleh sausage, pulled pork, queso corn, & Luscious Lucius sauce. Smoked brisket chili with onions & cheese. Tossed with Craisins and pecans in a tangy bacon vinaigrette. Elbow mac with creamy sharp cheddar, smoked gouda, parmesan, provolone, and mozzarella cheeses topped with a crushed Cheez-It and Panko bread crumb blend. Tasso ham, red beans, okra, and our Avril-Bleh signature smoked sausage slow simmered and served over rice. It may change daily, but it's always delicious! Choice of protein or Veggie Q, scrambled eggs, cheese, crispy potatoes, peppers, and onions wrapped in a flour tortilla and drizzled with house-made queso and Lucius sauce. Boiled egg breaded in our ground Avril-Bleh sausage, deep fried, and served on a bed of cheesy grits drizzled with Luscious Lucius sauce. Choice of protein or Veggie Q piled high on either an OTR Bagelry bagel or our house made waffle, then topped with a fried egg, smoked gouda cheese, and our signature Lucius Q BBQ sauce. Burnt ends, crispy potatoes, and sauteed peppers and onions topped with a fried egg and queso. Picked onions and jalapenos on the side. Avril-Bleh sausage blended into real mashed potatoes, smothered in Louisiana-style red beans then topped with a fried egg. The Mezz at Lucius Q is the perfect place for rehearsal dinners, birthday parties, networking events, and corporate retreats. 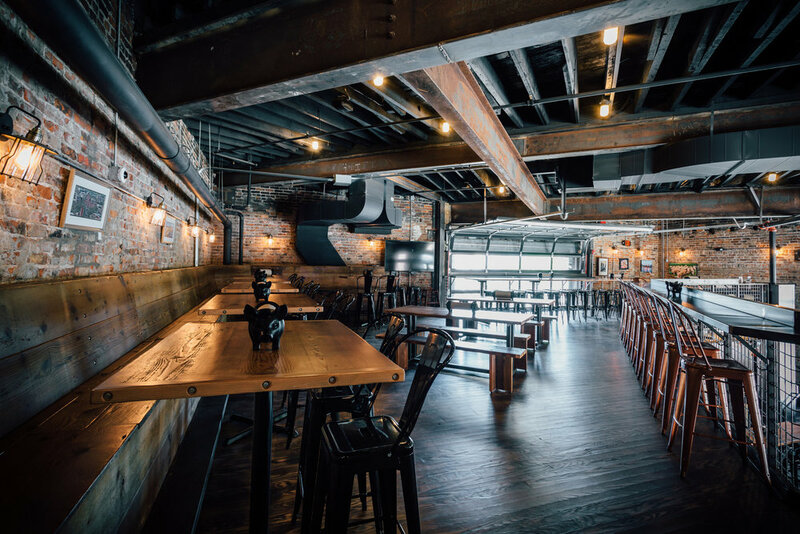 Our mezzanine seats 80 comfortably and includes a fully-stocked bar, widescreen TV, and view of Over-the-Rhine through our two-story garage door. Book your private party in the Mezz today. Email aaron@luciusq.com for a customized quote. The city of Cincinnati was named in honor of a man named Lucius Quinctius Cincinnatus (519-430 BC). A Roman aristocrat and statesman, Cincinnatus was highly regarded for his leadership abilities and selfless sacrifice. His stories are legendary. Seriously. Just Google him. When Lucius was called out of retirement to lead the Roman army against the invading Aequi army, he immediately dug a pit in the ground, hit the farmer’s market for some pork and beef, and proceeded to smoke enough meat to feed an army...literally. They ate. They flossed. They took a quick nap, and then they marched off to face their foe. Legend has it that the Aequi trembled in fear of the blood-red war paint on the faces of Lucius’ men. History would later teach us it was only barbecue sauce. Anywho, Lucius and his men whupped the invaders. As thanks for saving their butts, the Roman Senate offered Lucius a full dictatorship over the Roman Empire. He gave it some thought, of course, but decided that really wasn’t his thing. He just wanted to help his community then go back to smokin’ brisket. Twenty-five hundred years later in Pendleton - a proud neighborhood located in the heart of a modern city named for one of history’s greatest civic leaders - we find modern-day patriarchs and matriarchs giving of themselves so that they can make their community a better and safer place. We’re talking about guys like Jim Tarbell and Mr. Bubbles, women like Tabatha Anderson and Julie Fay, and so many others. Pendleton is rich with human capital, and we honor that. So, for all those who came before us to serve their communities, this Q’s for you. A former radio personality and GM, a restaurateur, and a tech salesman walk into a bar. Next thing you know, they're opening a bar and restaurant of their own. If you've ever been to Bockfest, you've seen him. If you ever listened to WNKU, you've heard him. If you've ever been to a Reds game, you've heard his voice and his music selections. 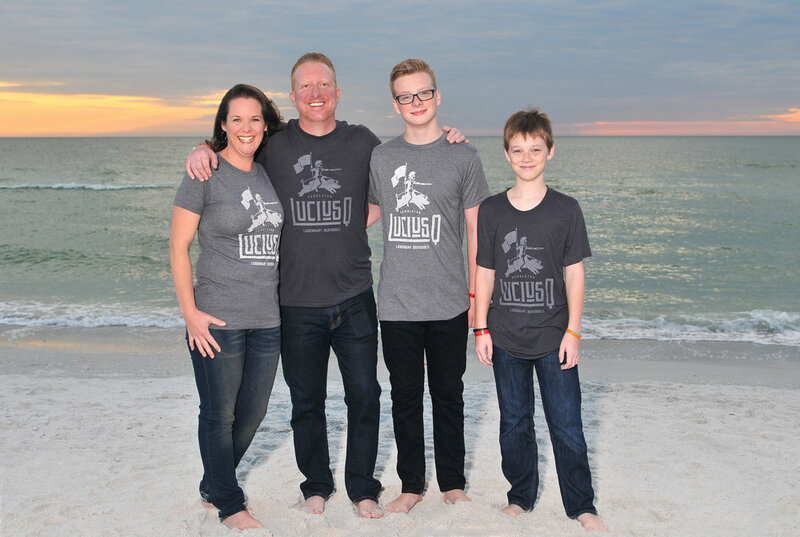 Aaron spent 18 years as Development & Marketing Director, afternoon DJ, and General Manager at the legendary WNKU radio station and is now heading into his 19th season as DJ for the Cincinnati Reds where he has also been known to sit in as the Reds' Public Address Announcer. Now, he thinks he can open a restaurant. For what it's worth, he did work at his local McDonald's in high school. Jeff has been in the restaurant business over half his life. He’s worked nearly every job possible , starting with dishwashing and bussing at the local LaRosa’s. From there, he went on to Montgomery Inn, Papa John’s, In the Wood and Pasta al Dente. Looking for a little more stability in his life , he went to work for his father and uncle, who had recently invested in three local Mio’s franchises. Trained at the Mariemont store, managed the Hyde Park store then moved onto the Mt.Washington store, where he has been for the last ten years and has owned for the last six. First and foremost, Shane was raised in Austin, TX. He calls his hometown the center of the barbecue Universe, and when it comes to brisket, anyway, he's probably right. Shane earned his Business degree from SMU and then followed his wife back to Cincinnati where he's worked in technology sales for the last decade. While Aaron and Jeff are the dreamers behind the project, Shane's the smart one with the business acumen. He's pretty much the only reason we didn't run out of money before we opened. Tom lives and breathes the restaurant business. Taking Tommy out of a kitchen is like taking a fish out of water. 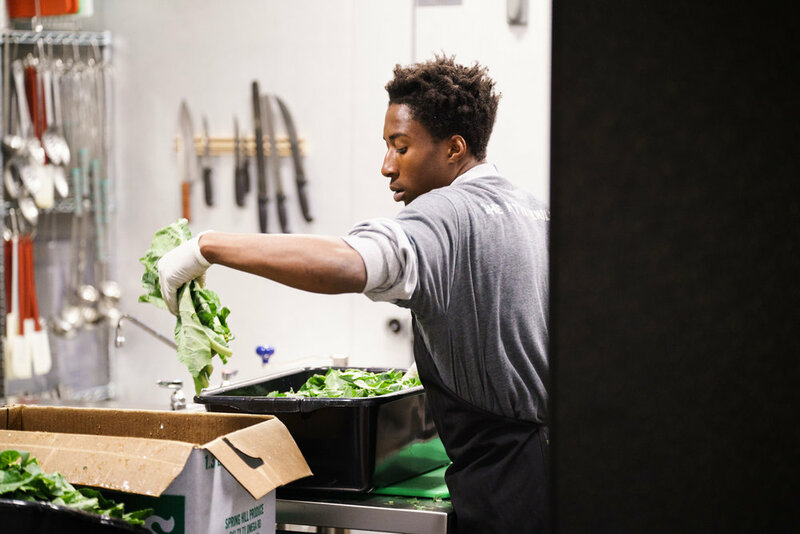 He's worked as a prep cook, line cook, kitchen manager, general manager, and catering manager. He most recently served as head chef and pit master at SmoQ in Springdale. It was at SmoQ that Tom honed his craft of smoking quality meats and earned a reputation as one of the area's best pit masters. In 2015, Cincinnati Magazine rated Smoq among the top 3 barbecue restaurants in Greater Cincinnati.